This event is part of the H.O.P.E. Diversity Scholarship Fund Benefit Dinner & Program. Individual concert tickets are also available for purchase. 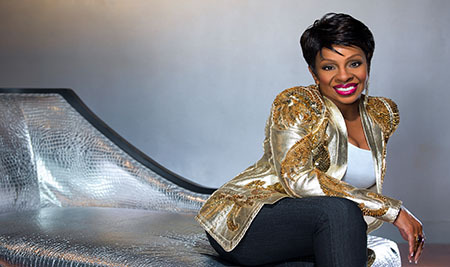 The great ones endure, and Gladys Knight has long been one of the greatest. Very few singers over the last fifty years have matched her unassailable artistry. This seven-time Grammy winner has enjoyed #1 hits in Pop, Gospel, R&B and Adult Contemporary, and has triumphed in film, television and live performance. All told, Knight has recorded more than 38 albums over the years, including her four solo albums during the past decade. Learn more at www.gladysknight.com. H.O.P.E. Diversity Scholarships are awarded to first-year students from ethnically diverse populations, who demonstrate excellence in academic achievements, extracurricular activities, and SAT scores. 5:30 PM - Dinner in the Tuscarora Room, Reisner Hall, $55 per person. 5:30 PM - *Dinner and VIP Concert Seating (rows A, B, C or D), $200 per person. *For tickets and information about the Dinner or the Dinner & VIP Concert seating, call the Shippensburg University Foundation at (717) 477-1377. To order tickets for the concert only, call the box office at (717) 477-SHOW (7469) or purchase online at www.luhrscenter.com.